[Wednesday evening November 21, 2013] Several Israeli military jeeps invaded the Barta’a village, south of the northern West Bank city of Jenin, carrying destruction orders issued by the military against seven Palestinian homes and two chicken farms.The soldiers, accompanied by an official of the Construction and Planning Committee of the Civil Administration Office, run by the Israeli military, invaded Khirbit Abdullah Younis village and served warrants to seven residents, the Palestinian News & Info Agency (WAFA) has reported. The army claims that the homes were built without construction permits. The homes belong to residents Ziad Sa’dallah, who also owns the two chicken farms, Haitham Nabulsy, Mahmoud Qabha, Mohammad Main Qabha, Taiseer Ash-Sheikh Ali, Mohammad Hasan Qabha, and Midhat Abdul-Latif Qabha. Some of the homes in question are under construction, others are already inhabited. The chicken farms house around 6,000 chickens. 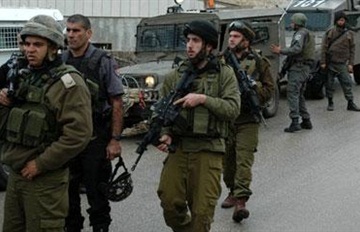 The owners say that the army targeted the village after it was surrounded by the illegal Annexation Wall and pertaining settlements, especially on the northern and western sides, as they are located along the ‘Green Line’ area which separates the West Bank from Historic Palestine. They added that they do, in fact, possess all needed permits and documentation proving the legality of their homes and farms.